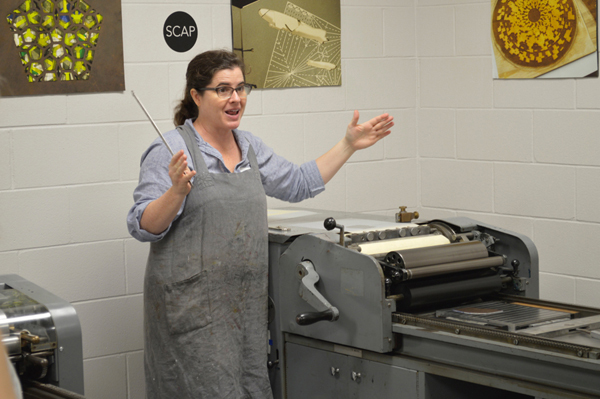 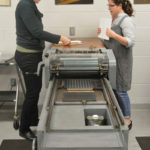 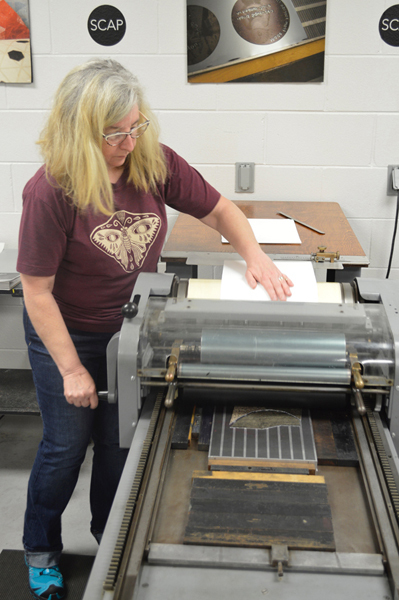 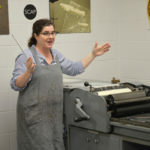 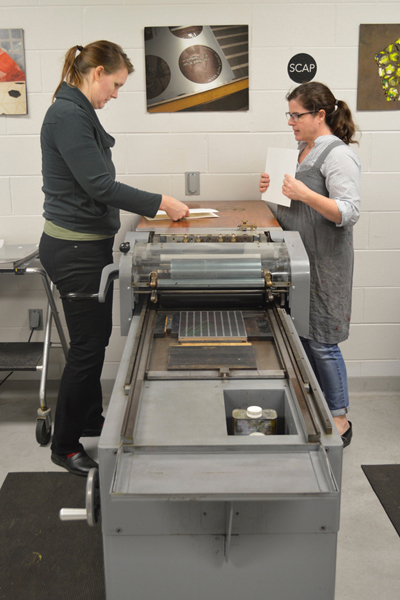 South East Guild of Book Workers and Small Craft Advisory Press co-hosted a letterpress workshop taught by visiting book artist and printer Eileen Wallace of Mile Wide Press over the February 25-26 weekend at the Facility for Arts Research. 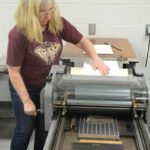 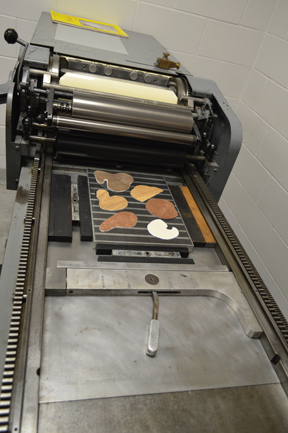 This fascinating workshop highlighted creating and printing experimental matrices on flatbed printing presses, and drew an energetic crowd of FSU graduate students, and professors from FSU, Tallahassee Community College, and University of Florida. 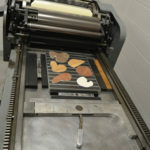 Using materials such as wood veneer and wire mounted onto a magnetic base, workshop participants were encouraged to try many different iterations of their compositions, capitalizing on the ease of setup of these modular printable forms. 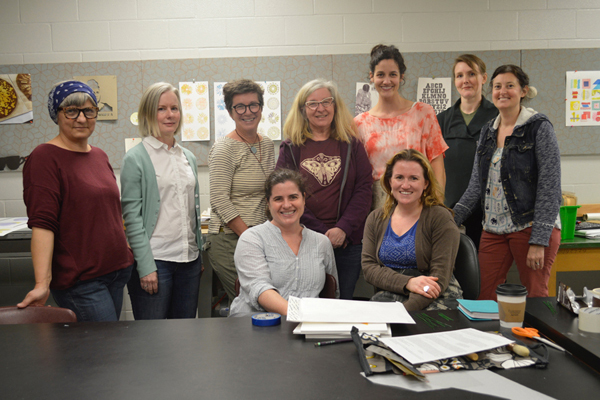 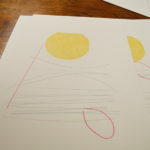 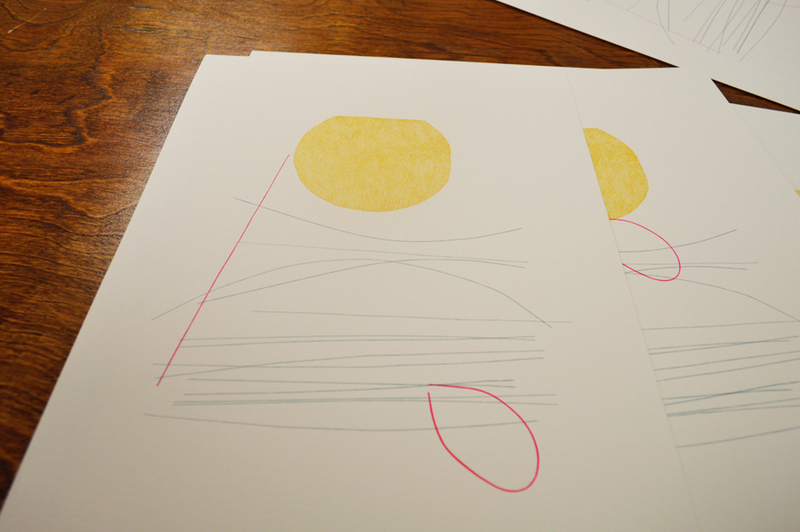 Each of the ten participants completed the weekend-long class with a suite of their own prints, a set of printable plates, and a copy of the collaborative class print.